If you are feeling overwhelmed by the stacks of papers in your office, Classter will help you keep them organized and form your personal teacher’s notebook from within Classter dashboard. Your students can upload assignments, projects and collaborate with their team or with you online and in real time, via OneNote, as OneNote plugin was developed by Microsoft Corporation especially for Classter. 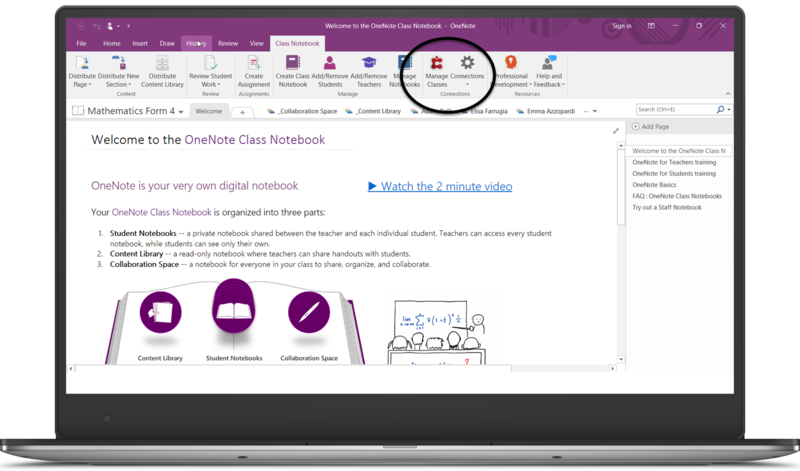 Every student who has access to Classter via Office365 can have access to OneNote course notebook. Moreover, teachers can design assignments and make assessments using an unparalleled combination of OneNote with the Classter platform. 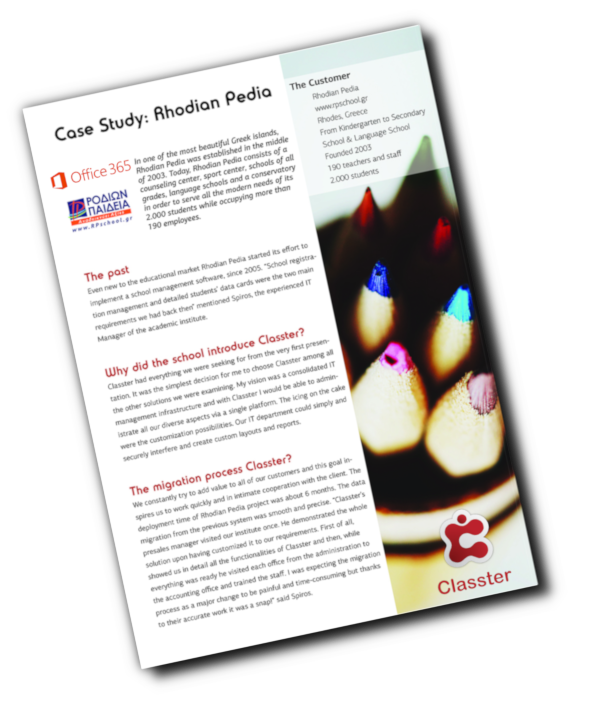 For more information regarding Classter’s plug-in, please click here.